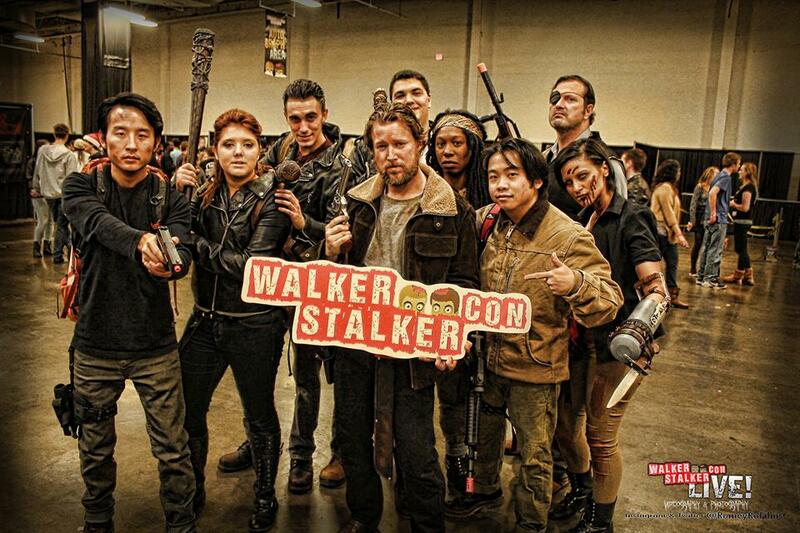 “The Walking Dead” invade Navy Pier for “Walker Stalker Con”! Ever wonder what happens to zombies when exposed to below-zero wind-chill temperatures? I think we’re going to find out when WALKER STALKER CON takes place at Navy Pier this weekend! The burgeoning fan convention devoted to all things horror, but with a special focus on “The Walking Dead”, will be in full swing bringing fans of the hit television series to the lakefront from all over the country. WALKER STALKER CON also boasts an impressive roll call of celebs, featuring current and former cast members from TWD, along with actors from other cult shows like LOST and BREAKING BAD. Chicago, IL – Walker Stalker Con, a zombie and horror themed fan­centric convention, will be held at the Navy Pier​, downtown in Chicago, IL on February 21 & 22, 2015. Fan access to celebrity guests will be the primary focus of this event. In March of 2014, Walker Stalker Con made its debut in Chicago, where it assembled more “The Walking Dead” cast members than any convention ever before, along with other actors from zombie and horror films. Read the celebrity guest list after the jump! Walker Stalker Con is not just a convention. It is a fan meet­up and an opportunity for each guest to come away feeling like they’ve had an amazing experience and became part of a greater community of zombie lovers! Walker Stalker Con is two days of events, panels, and experiences that zombie fans won’t find anywhere else! Chandler Riggs and family will be doing an event called, THE RIGGS FAMILY ROCK AND ROLL REVUE​ on Saturday, February 21st at 6:30pm. Emily Kinney will be performing a special concert for her fans at Walker Stalker Con Saturday, February 21st at 7:30pm.